Our jewelry is unique, one of a kind, captivating and beautiful. It is 100% handcrafted by the best artists from around the world and exclusively for you. 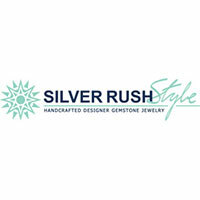 15% Off $250, 20% Off Orders $500, 25% Off Orders $750 and 30% off orders over $1000 at silverrushstyle.com (Discount Automatically Applied at Checkout).